If you are a responsible credit card user – that is you tend to pay off your balances in a timely manner and have relatively good credit – there are an ever increasing number of rewards credit cards out there to choose from. Not everyone wants to save up their rewards points for what seems like decades (but is probably years) just to earn the same boring old rewards. With those people in mind here are a few rewards credit cards that are, well, just a little bit more fun. If you have enjoyed a lifelong love affair with Mickey Mouse and all his pals, chances are if you haven’t been to Disneyland or Disney World you would love to go, and even those who have experienced the magical kingdom always want to go back. What better than a rewards credit card that can take you there, just because you used it to make everyday purchases for a while? That is exactly what the Disney Rewards Visa offers you as well as a great many other benefits. The fun with this card begins right away as you get to choose from eight different Disney themed designs to grace your new rewards card. There’s Mickey (of course) and Svengali of his gang but also Nemo. Woody and Buzz from Toy Story and Tinkerbell. You can even opt for a plain silver design but where is the fun in that? Right away Disney Rewards Visa card holders have access to special Disney themed benefits. If you use your Disney Rewards Visa to pay for more than $50 in goods at The Disney Store, online or off, and you will receive 10% off your order total, every time you shop. In addition card members get regular invitations to “meet and greets” with Disney characters at locations nationwide. Rewards are earned on a 1 to 1 basis (one dollar =1 point) and thy can be redeemed for almost everything Disney related from DVDs and toys to a trip to see Mickey in person at his homes in Florida and California (better known as Disneyland and Disney World). But it really is the everyday benefits that make this a great card for Disney lovers. Card members can get special financing rates on trips to Disney theme parks across the world as well as a great manly special savings offers to help cut down on the coast of such a trip without cutting out any of the magical Disney fun. If you want your kids to think you are the coolest parent on the planet this is one card you need in your wallet! This fun rewards credit card is issued by Capital One, a bank renowned for their great rewards credit cards in general and this one is no exception. Because this is a card aimed at a slightly younger demographic the credit requirements are a little looser than with some other rewards cards but you will still need reasonably good credit to qualify for this card. If you do however you will get a Capital One backed credit card with a reasonable 12.90 to 20.90 % APR (standard for rewards credit cards in general) and a rewards scheme that is very generous. For every $1 spent on “everyday” purchases you earn 1% and if you pick up the tab at a restaurant with the card you earn 2%. Even better for entertainment purchases (cds, dvds, istore offerings, movie tickets, etc.) you earn a very generous 5%. In terms of rewards redemption you have a lot to choose from. From gift cards for popular entertainment stores to tickets to the VMAs to straight cash back the rewards are certainly very good and well, the card will just look cool in your wallet as well. If you are a parent choosing a credit card with useful, kid centric rewards can be a good way to get kid friendly goods just by following your usual spending patterns. The Chase Toys R Us credit card is one such card. The card is backed by Chase and comes with all the benefits you would expect from the bank – great customer service, a reasonable for a rewards credit card APR of 12.90-20.90 and plenty of extra fraud protection. Unlike the Toys R Us store card the Toys R Us MasterCard is accepted wherever MasterCard itself is, which means at thousands of locations worldwide. Most every day purchases made on the card earn rewards at the rate of one point for every one dollar spent. If you use your card at Toys R Us or Babies R Us however you will earn points at the rate of 4 for every dollar and for every 1,000 points you earn you will receive a $10 gift certificate to use at Toys R Us and you can receive up to three of those a month. This is a great credit card for both parents and grandparents, for whom these kinds of rewards are obviously going to come in very handy! Rewards credit cards of all kinds can be great pieces of plastic to keep in your wallet but it is important that you use them in the same manner as you would any other credit card. Some people have been known to spend far more than they can truly afford, just to earn extra reward points. Most rewards credit cards have an APR that is slightly higher so if you do tend to carry a balance rather than paying you bill off I n full every month those higher interest rates can negate any rewards you might receive. Used wisely however rewards cards are a great way to get a little extra back, which in most people’s eyes could never really be a bad thing. Capital One have gained themselves a reputation for offering some of the best deals on credit cards around and the cash back credit cards they offer are no different. With special cards for students and for newcomers to the US as just two of the rather unique offerings available to those looking for a great cash back credit card. This cash back credit card is for those who have excellent credit, but for those who can qualify for it the Capital One No Hassle Cash Back card is a great piece of plastic to own. 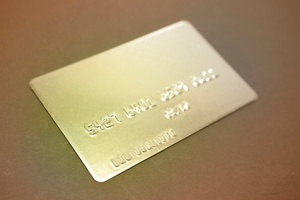 The card comes with a 12 month introductory 0% APR on all purchases with a 12.9-20.9% APR thereafter and no annual fee. There is also no transfer fee assessed should you with to transfer balances from other credit cards. In addition as a Worldclass MasterCard product there is no preset spending limit, 0% fraud liability and 24/7 access to free travel assistance services if you have problems when you are out on the road. Cash rewards are earned on every purchase made with Capital One No Hassle Cash Rewards credit card. Gas and grocery store purchases earn 2% cash back and all other purchases 1%. In addition if you shop the Capital One on-line shopping portal you can earn up 15% cash back on your purchases. Cash back redemption is easy. Cardholders simply need to go to the Capital One website and choose how much they want to redeem and how they wish to receive their benefits. You can choose to be issued a check, use the rewards to get gift certificates to various retailers or apply the cash back to pay off some of your current card balance. Coming to the US from another country is fraught with challenges, one of the biggest of which is that the excellent credit profile that an immigrant may have built up at home does not translate to the US and these people have to begin the credit building process again. This is a special Capital One credit card designed to help them do just that with the additional benefit that it is cash back credit card as well. The card has an APR of 24.9%, a little high but the fact that this card is offered to those with little in the way of traditional credit in the US the rate reflects some of the risk the bank is taking by issuing it. There is however no annual fee, no transfer fees attached to balance transfers and no foreign transaction fees. The card also comes with 24 hour roadside assistance, free travel insurance if you use your rewards card to book your airline tickets and 0% fraud liability. Every purchase made with this particular cash back credit card is usually rewarded at a rate of 1%. Travel related purchases however are rewarded at a 2% rate and shopping at Capital Ones online portal can earn cardholders up to 15% cash back. Rewards can be redeemed by filling out a simple form online and can be claimed in the form of a check or as gift certificates to select retailers or simply credited against the current balance on the credit card. As long as they are used responsibly credit cards can be very, very useful to the average college student. Having an emergency source of financing can be a real lifesaver, especially if you are a long way from home (and your parents’ bank account) and building up a good credit rating while you are still in school can help you get a better start out in the real world. This credit card is designed to help students build credit and learn to handle their finances responsibly while still enjoying the perks of a cash back credit card. The Capital One Journey Student Rewards card comes with a fixed 19.8% APR and there is no annual fee. As a Visa Platinum product the card also comes with free travel insurance and 24/7 roadside assistance, 0% fraud liability and car rental insurance, all great things to have on a road trip or on the journey back home at break times. The cash back rewards program attached to the Journey Student Rewards credit card is tailored to not only provide great benefits but to encourage good financial habits as well. If cardholders pay their monthly credit card bill on time they are rewarded with a 25% bonus added to any cash back rewards they have earned in the previous month. 1% cash back is earned on every purchase made on the card and free extended warranty coverage is provided for certain items purchased with the card. Cash back rewards can be claimed at any time by visiting the Capital One website. Cardholders can choose to have a check issued directly to them or to simply have the money credited against their outstanding card balance. Whichever of the Capital One cash back credit cards suits your needs there are certain best practices for use for all of them that can help ensure you get the most out of them. The first is to pay off balances in full every month whenever possible as the interest charged on any balances you carry for a while can effectively cancel out the cash back benefit. To maximize the amount of cash back you earn get into the habit of paying for purchases that you would have used cash for with your cash back credit card instead, making sure to then put that cash aside to pay off the purchase at the end of the billing cycle. Rewards points earned on everyday gas and grocery store purchases can add up very quickly and these really are expenses almost everyone has so why not be rewarded for things you have to buy anyway?